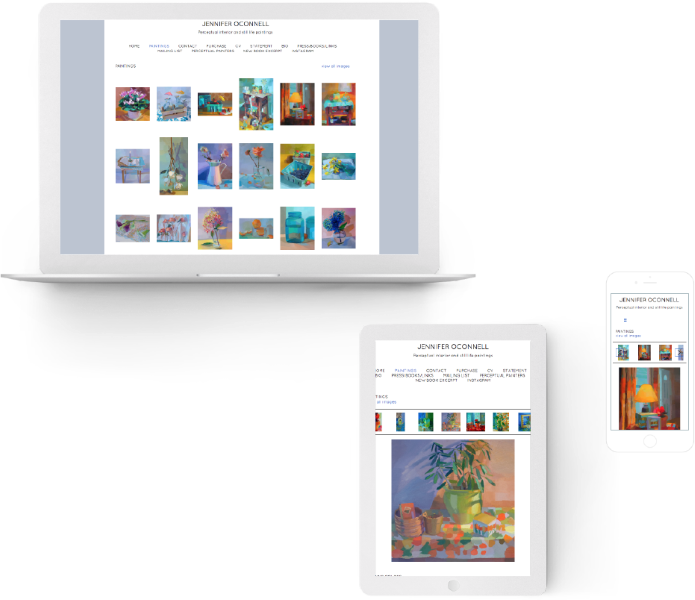 Artspan's diverse community of artists use their individually-branded artist website to show their portfolios, market their work, and sell art online. 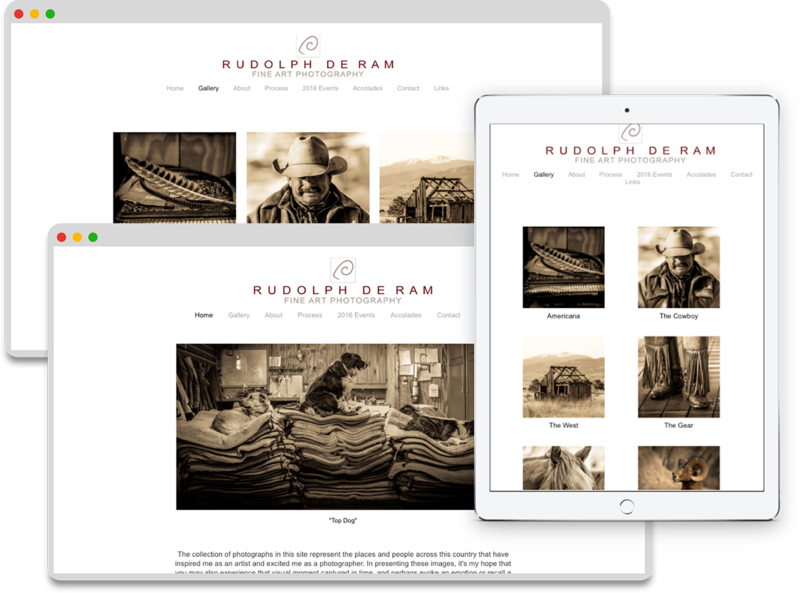 We set you up with a template and color scheme, and then you can customize it according to your aesthetic. 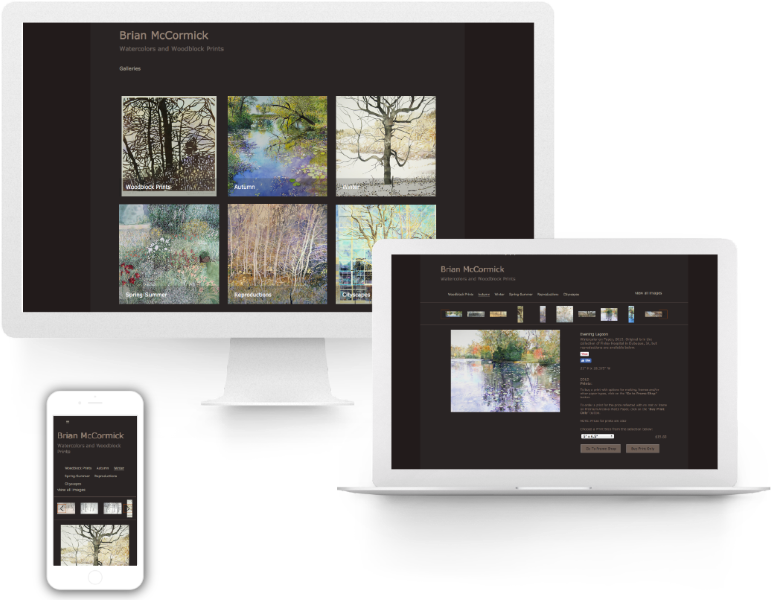 Below we showcase a few artists' websites, and demonstrate how individual artists take advantage of our unique suite of design and marketing features to share their vision with the world and sell their art online. Brian McCormick features watercolor landscapes and Wood-block Prints on his Artspan Website. He offers prints and originals for sale. Jennifer O'Connell features work immediately available for purchase, shares exhibit information, links out to her social media presence and offers an option for visitors to sign up for her mailing list. 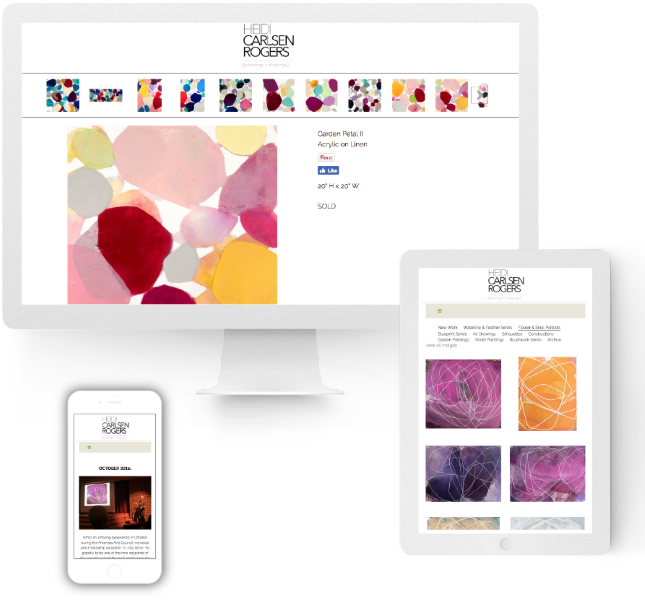 A visitor to Heidi Carlsen Rogers' Artspan website can take a "studio tour" and view images of her workspace. She also shows how her work looks installed in various interiors. A FAQ section facilitates her sales. 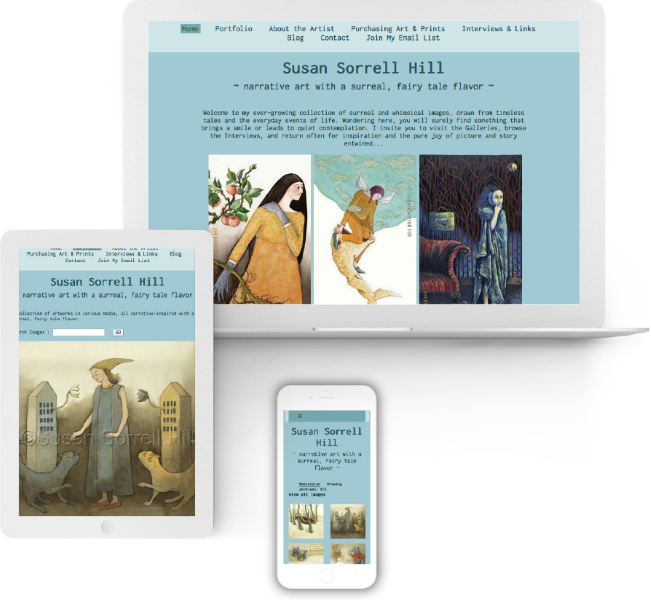 Susan Sorrell Hill uses Artspan's prints-on-demand program to offer "museum-quality, gorgeous, collectible prints of my watercolors, oils and works on paper." Buyers can select from varying sizes and they can opt to add a mat and frame. She uses her site to link to articles about her work, her email list, and her personal blog. Finally, she has buttons that link out to her Facebook Art page and her Instagram account.